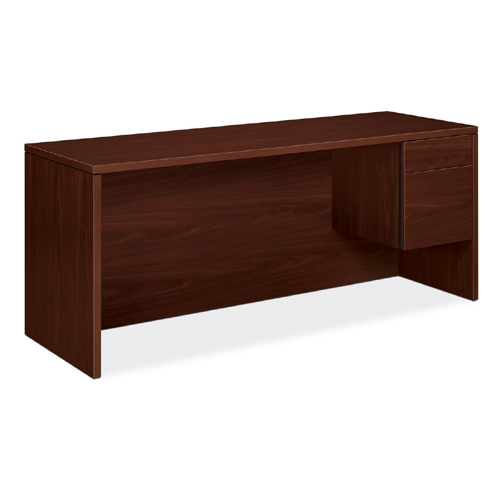 Laminate Wood Furniture offers non-handed desk, credenza and return shells, combined with a variety of under the worksurface storage solutions to maximize the office layout flexibility. Products can be reconfigured quickly and easily as your office grows and expands. 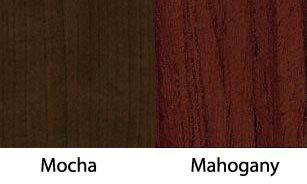 Tops and end panels are abrasion and stain-resistant, thermal-fused laminate over durable 1 1/8" solid core high density particleboard. Square edges give the series a smooth streamlined look. 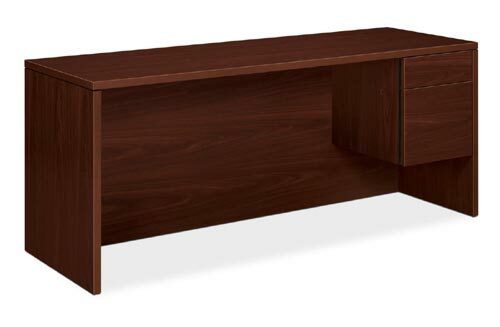 This desk is perfect for comfort and organization, with a great deal of storage space and leg room.